North Korea's latest missile launch moved the United States into new territory as the success of putting a satellite into orbit could also mean the reclusive country is one giant step closer to firing a missile across the Pacific. The United States is examining information from Wednesday's launch to gather clues about the capabilities of North Korea's rocket technology that can be converted for use in long-range missiles. Experts say the launch shows North Korea's rocket has the range to hit Hawaii and parts of the West Coast of the United States. Secretary of Defense Leon Panetta told CNN's Erin Burnett on Wednesday he is "confident" the United States could stop an incoming missile from North Korea. "The fact is, we do have a very strong missile defense that would be able to guard against that kind of potential," Panetta said in an interview that aired on CNN's "Erin Burnett OutFront" on Wednesday. But with the success comes more scrutiny of what the United States has in place to stop a missile should one be launched. The type of missile North Korea launched Tuesday is considered a long-range intercontinental ballistic missile, meaning it is designed to deliver a payload long distances across the globe or into space, depending how it is configured. It is not generally designed to strike at short distances, such as Japan or South Korea. The U.S. military had said it was on a heightened state of alert while it awaited the launch by the North Koreans. To prepare for the launch, the United States had satellite monitoring of the site. The military also had Aegis radar ships and other monitoring equipment positioned off the coast of Japan. Those ships have a strong and reliable radar systems and sensors that can detect a launch and track the trajectory of the missile, and can also shoot down missiles in some cases. Sitting off the coast of Japan, they wouldn't be "positioned correctly to hit a missile like this coming out of North Korea," according to a U.S. defense official. "However, their radars are extremely useful on telling us where the missile is going within seconds." The North Korean government publicly announced where it intended the missile the missile to, a path that did not go near the United States. But protectively, the Pentagon had in place Aegis ships off Hawaii in case the rocket headed in that direction. Those ships have the capability to shoot down a missile as it is falling toward the islands, according to a U.S. defense official familiar with U.S. missile defense systems. Past launches of this type by North Korea, while unsuccessful, have shown that it has the capability to strike the main islands of Hawaii and possibly as far as the northwestern United States, said David Wright, a missile defense expert and co-director of Global Security at the Union of Concerned Scientists. "This most recent launch is similar to the past ones, so we have been able to do some reverse engineering on the launches and get some idea of what they can do," Wright said. The United States also has a ground-based missile shield with interceptor missiles in Alaska and California if North Korea, or another adversary, were to aim a missile toward the U.S. West Coast. The United States has been testing this shield for years now with mixed success, but most believe it could protect against a basic missile launch with no decoy warheads to trick the radar system that would detect the incoming missile and guide interceptor missiles. "There are people who believe that North Korea would not have decoys on their missiles. In that case we have plenty of interceptors," according to Wright. "I would argue just the opposite, if they did fire something we would likely not know what it would be carrying. It would be unlikely they would fire something that they hadn't put countermeasures on knowing about the U.S. system. 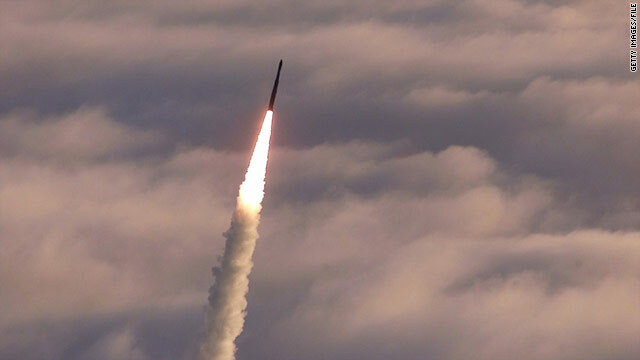 I think the U.S. would not be able to rely on its missile defense system." North Korea's launch culminated with the deployment of a satellite that is circling Earth from the North Pole to the South Pole. The U.S. military said Wednesday it does not believe North Korea has full control of the rudimentary satellite, a U.S official said. The United States does have the capability to shoot a satellite down with the Aegis interceptor. In 2008, the military successfully tested whether a ship-based Aegis missile system could hit a defunct U.S. spy satellite. U.S. military officials would not comment on whether the Pentagon might try to shoot down the North Korean satellite, but experts say it would be a highly unlikely move because the satellite appears to pose no threat. "Shooting a satellite down is very similar to the kinds of tests the U.S. does with its missile defense systems. The satellite will be going about the same speed as a ballistic missile and it will not have any decoys," Wright said. But he added, "The North Korean satellite was put into orbit about 500 kilometers (310 miles) and I think that's slightly too high for the Aegis interceptor." Wright said the United States would have a better chance shooting a satellite at high altitudes down if it were to use its ground-based missile systems in Alaska or California. U.S. allies in the region, like Japan and South Korea, have the ability to intercept a missile like the one fired Tuesday, but not if it is on an upward trajectory aimed at the United States. Their capability would be solely to hit such a missile in the later stages of flight if it were falling into their countries. This an incredible day in the neighborhood:Body method to get a concept of just what a investment may be worth should be to test the best way comparable companies are sought after. Consequently enable consider precisely how Mattel supports. Utilizing at the same time earnings so that you can directly into a standard cost pertaining to Mattel, then using the normal over all those benefits, you can produce nearly value each promote regarding about $20. Even if we blew up 1 ICBM coming towards us, dont you think the fallout would effect everyone. Lets just sit back for the last 15 years while these nut jobs develop our ultimate fate and tell us that they are 5-6 years away from this and that. Its gonna happen...scares the crap out of me. Lets find a way to heat our houses and run our cars without the help of these people who hate us, cut off our oil dependency from these countries, then what do they have?...Nada! We knew this in the 70s and here we are still sucking off their only real resource that provides them capitol. OIL. That's not how nuclear weapons work. They need to be armed and triggered, shooting one down will stop that happening. We use kinetic energy interceptors meaning solid block of dense metal traveling at high speed that rams a target missile. Even if the warhed is hit directly by a kinetic interceptor, the impact wil not cause a nucler explosion. It will scatter the nuclear debris but the effect is not like that of fallout from a nuclear detonation. Gotta love their IKEA launch control center. Like something out of a "B" movie. An extra bowl of rice, oooh, and a fish head, goes to the engineers who were behind it all.